This home is located in the popular Palm Desert Greens Country Club, with numerous, highly sought after amenities including Golf course, extensive green belts, Guard gated entrance, Club House, Barbecue, Billiard Room,Tennis, Picnic Area,Recreational Multipurpose Room, Meeting Room and much more! 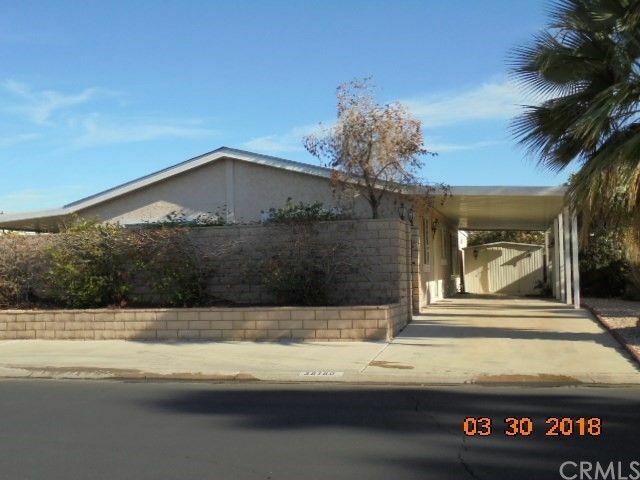 Nice 2 bedroom, large office/bonus room, upgraded dual pain windows and stuccoed exterior. Block wall in front provides additional privacy to the patio on the North and the Carport with shed, on the south. This is a conservator's court ordered sale and the processes are the same as a probate and the sale is Subject to court approval. This is an excellent buy and well worth the effort.